Biogas is environmental friendliness at its best. 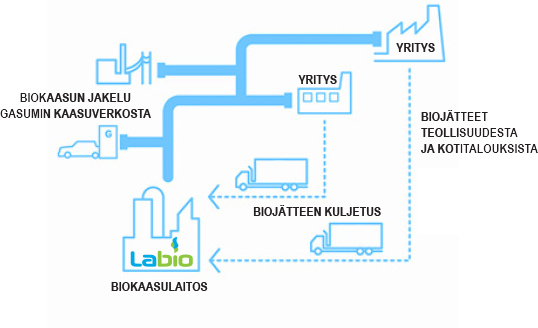 The largest production and refining plant for biogas for use in motor vehicles is located in Kujala, (Lahti), where LABIO refines domestic renewable energy in the form of biogas from bio-waste material. 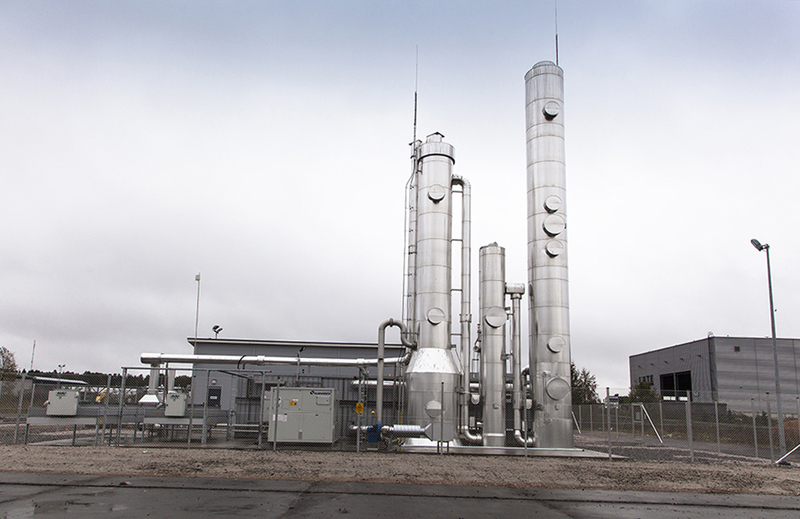 LABIO´s biogas plant produces as much as 50 GWh of biogas per year, making it the producer with the largest capacity in Finland. The amount of biogas produced annually is enough to provide fuel for 4500 cars. The biogas produced from domestic renewable raw materials is low in emissions and cost. Labio´s partner company Gasum is responsible for the distribution and sale of the refined biogas.